BMW 2 Series Coupe Interior, Sat Nav, Dashboard | What Car? 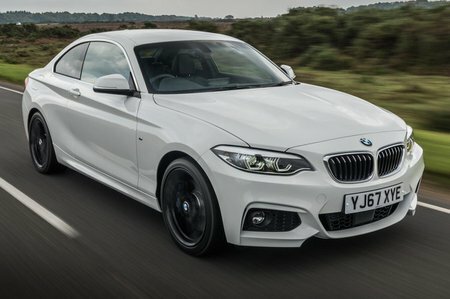 The 2 Series Coupé is based on the latest 1 Series hatchback and inherits one of that car's biggest interior flaws: offset pedals. They're most noticeable on manual examples, where you're caused you to sit at a slight angle that can be uncomfortable on long journeys. However, in automatic form, with only two pedals and just your right foot moving between them, it becomes less of an issue. The standard manual seat adjustment is also a pain, particularly as changing the height involves pulling a lever to use your body weight to lower or raise the seat, which is awkward. It’s worth adding the electric seat adjustment if you can, although it’s not cheap and you’ll still have to pay extra to get adjustable lumbar support on top of that. Still, the Coupé’s standard seats are supportive and comfortable, and the dash is simple, clearly laid out and of reasonable quality, featuring a mix of soft plastics and textured surfaces. It's let down only by some elements that feel less substantial, such as a heater panel that deflects when you press a button. Over-the-shoulder visibility isn't great due to the car’s thick rear pillars, but standard rear parking sensors make life easier. A rear-view camera and front sensors are optional. Bright LED headlights, which help pierce winter's deep gloom, are standard, though. 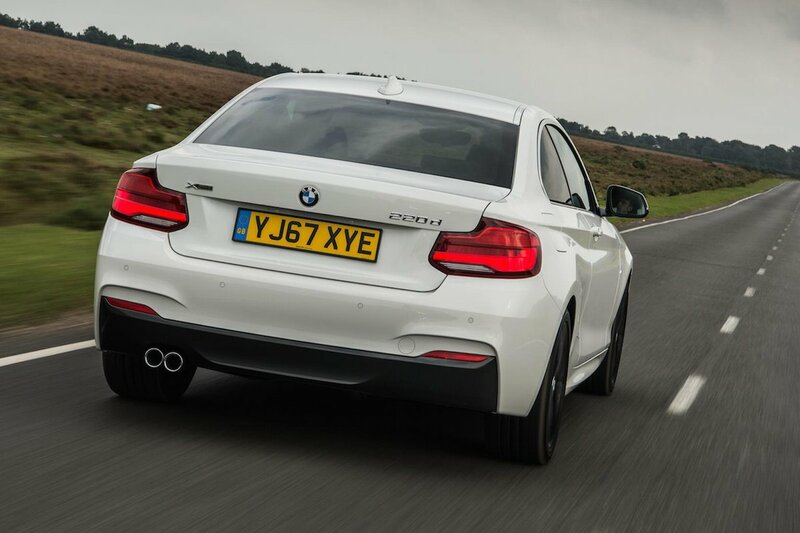 Another bonus is BMW’s superb infotainment system, iDrive that bundles Sat-nav, a DAB radio and Bluetooth. It displays through a 6.5in colour screen that's controlled by a rotary dial located between the front seats, complete with shortcut menu buttons. It's an intuitive system to use and far less distracting to use while driving than any touchscreen. 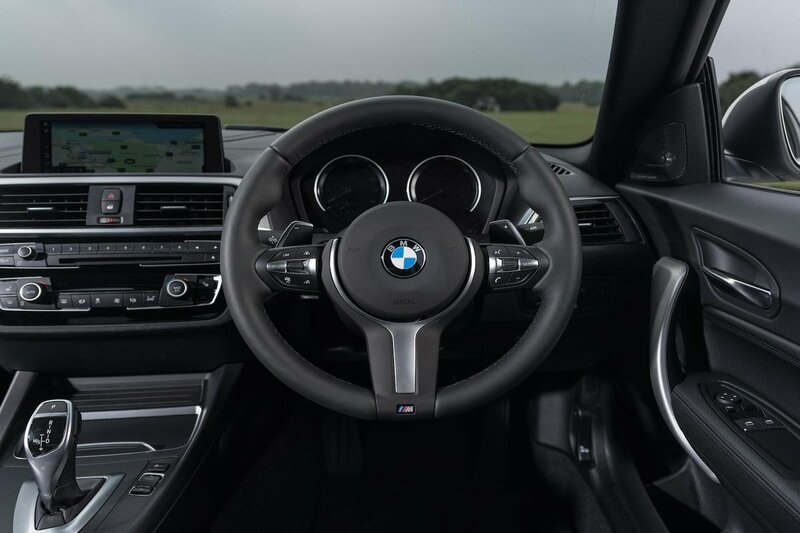 It’s worth upgrading to BMW’s Professional system, though, which brings a larger 8.8in screen that can also be controlled by touch — for the convenience of your passenger — and adds a slicker sat-nav experience and a longer list of more online services. However, it’s disappointing that BMW doesn't include Android Auto at all, and charges extra to add Apple CarPlay smartphone mirroring, which even then is subscription based.